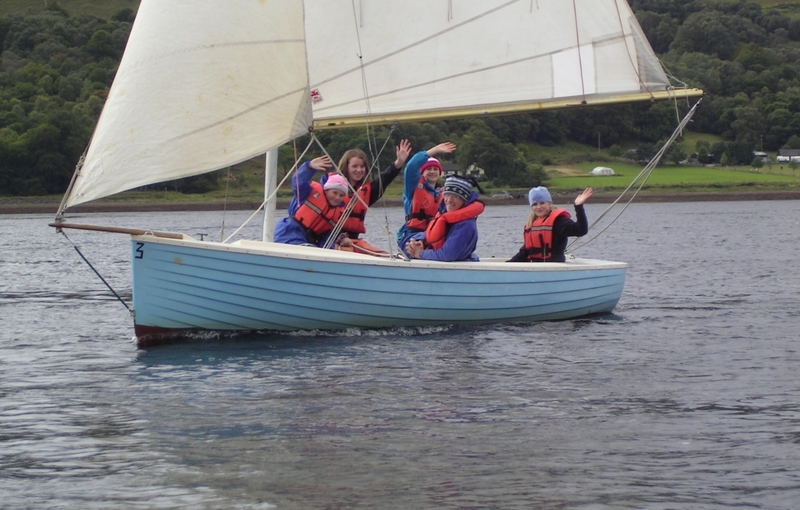 Based on the more sheltered the tidal head waters of Loch Linnhe our half or full day dinghy sailing sessions are ideal for those no or very little previous sailing experience. There are a number of small islands in the tidal loch to visit in our 16′ Devon Yawls, often crossing the water to Ardgour with regular sightings of seals, varied sea birds & even porpoise and otters. Access to the tidal waters of lower Loch Linnhe give access to the open sea down the length of Loch Linnhe beyond Corran Narrows. For those with more experience there is the option to independently hire our sailing dinghies. Upper Loch Linnhe benefits from prevailing south-westerly winds which make it an ideal location to start dinghy sailing to help you master the fundamental of sailing or get to grips with more advanced techniques. Within a few hours you will be out and feeling the thrill of being pushed along by the wind. The reliable south westerly’s and calmer inland waters are ideal when you’re just finding your feet and you’ll soon find that the sport isn’t nearly as complicated as you thought. For the more experienced or those wanting to polish up their previous sailing skills we suggest a 2-3-day course to develop both crewing and helming skills. It also provides to crew your own boat and test your new found skills such as reefing afloat, capsize recovery and man overboard help you to deal with problems afloat and become a more accomplished and confident sailor.